TeachByApp™ is the easiest solution to bring eLearning courses along. 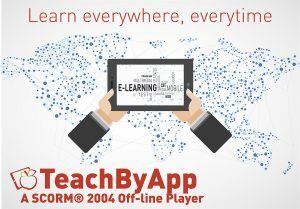 It can play SCORM® 1.2/2004 lessons directly on desktop, laptop or tablet without being connected neither to any LMS nor to the Internet. 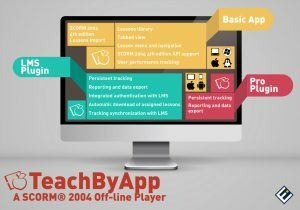 tracking learning progress and performance while being off line and sending tracked data back to the LMS when connected again. 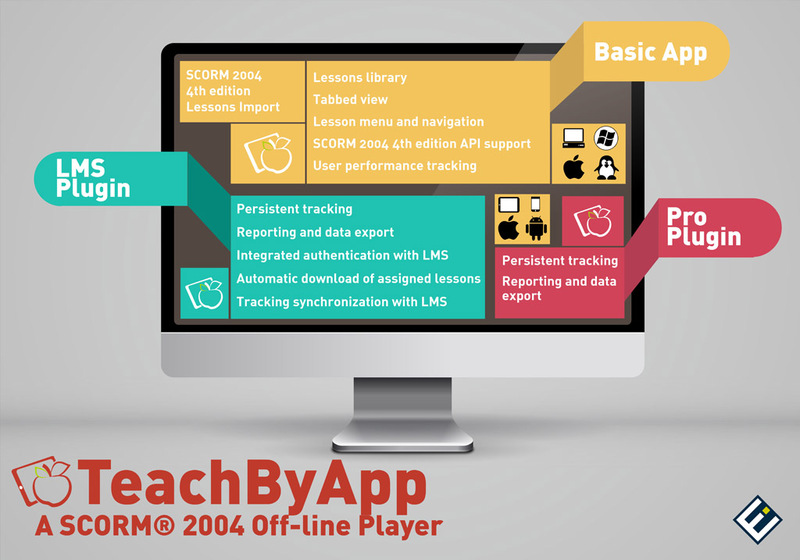 Thanks to its cross-platform design, TeachByApp™ is available for Windows, Mac OSX and Linux, iPhone and iPad (iOS), and Android. From January 1, 2018, we have chosen Grammelot Srl as official partner and exclusive provider of our Products and Services. 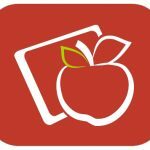 For more information, please visit grammelot.eu.